Book cheap flights on Air Peace now! Passengers can stay connected and enjoy free Wi-Fi at the Air Peace terminal. Air Peace was awarded ‘Outstanding Airline 2016’ at the DALA Awards. 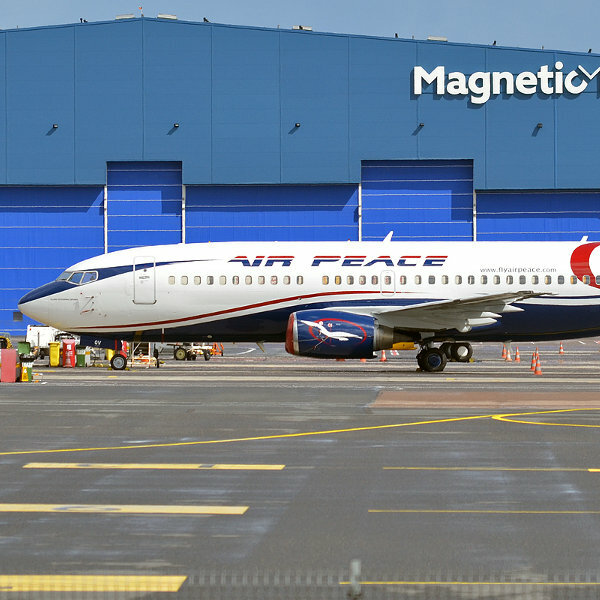 Air Peace is one of Nigeria’s newest carriers and have already cemented their name as the leading low-cost airline service provider in Nigeria. Air Peace offers cheap flights to major cities in Nigeria, like Lagos, Abuja, Owerri, Port Harcourt, Enugu, Calabar, Asaba, Kebbi and Benin City. With satisfaction and reliability as their priority, the courteous and professional cabin crew focuses on providing unrivalled passenger service and world-class airline safety. Once passengers have been seated comfortably, they can enjoy the scrumptious refreshments and drinks that are on offer. 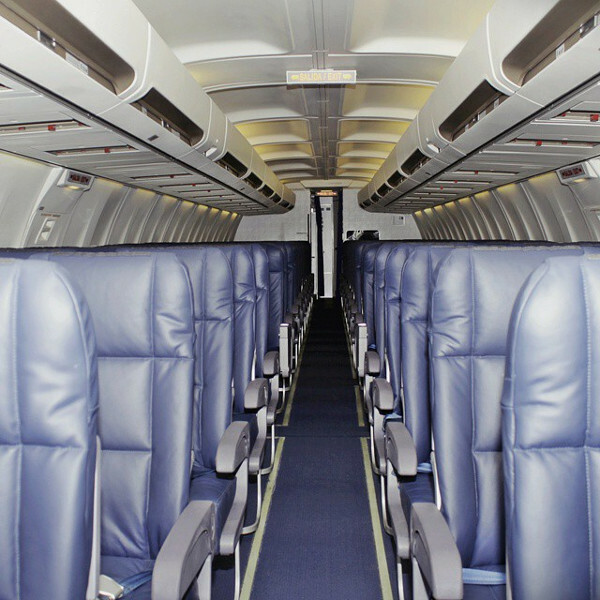 Travellers can be rest assured of a pleasurable trip on board Air Peace. Air Peace flies to and from Akanu Ibiam International Airport. Book your cheap flights to Lagos, Abuja, Enugu, Accra, Calabar and other exciting destinations! Popular flight routes with Air Peace are from Lagos to Abuja, Abuja to Lagos, Abuja to Port Harcourt, Abuja to Enugu and Abuja to Kano. All passengers are allowed to carry one piece of hand luggage with the maximum weight of 6kg, with pieces not exceeding 45cm x 33cm x 20cm. Anything extra will need to be checked in. Air Peace also offers various baggage allowance for passengers of different cabin classes. For Business Class passengers, all checked luggage has a weight restriction of 40kg, whereas Economy Class passengers have a luggage allowance of 25kg. Bags carried in addition to the Checked Baggage Allowance will be charged an extra bag fee per kilo. All flight check-in facilities will close 30 minutes prior to departure, however passengers are advised to be at the airport 2 hours prior to departure. 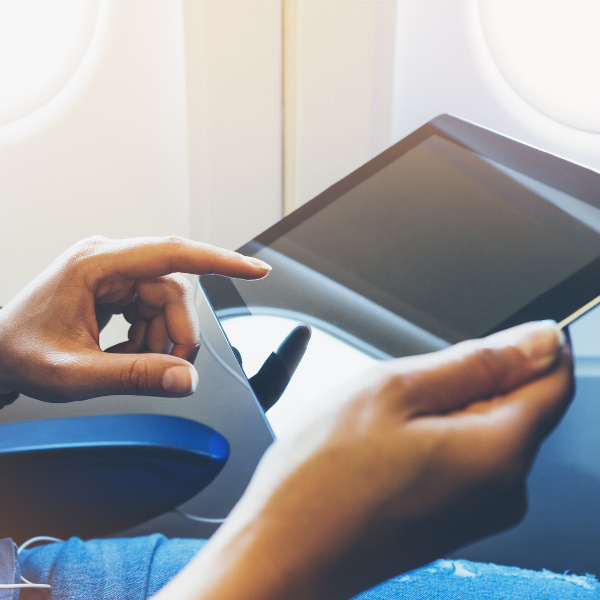 For a hassle-free check-in, take advantage of the online check-in feature, which closes 2 hours prior to the scheduled flight time and is available 48 hours prior to departure. All passengers are required to inform themselves about these check-in deadlines and abide by them. Air Peace offers Business and Economy Class travel to its passengers. Passengers can expect excellent service, delicious food options and comfortable seating options on board.